No one was injured by the devices, one of which caused a small fire in an office building at Heathrow airport. "The Met Police Counter Terrorism Command is treating the incidents as a linked series and is keeping an open mind regarding motives," London's police force said. 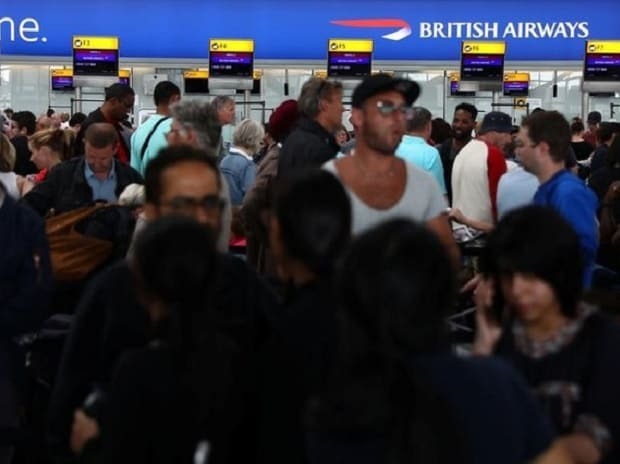 They received the first report of a suspicious device at Heathrow at 0955 GMT after staff opened a package which caught fire. Later, a similar package was identified in the post room of London's busiest rail station, Waterloo, and a third was found in an office at London City airport in east London. Flights were unaffected, though a light rail line linking London City with central London was temporarily suspended. Britain is on its second-highest level of terrorism alert, with security services seeing an attack as "highly likely". In 2017, five attacks in London and Manchester killed a total of 36 people.